As the sun starts setting earlier and earlier this month, it is a great time to find new ways to light your home in the evenings. 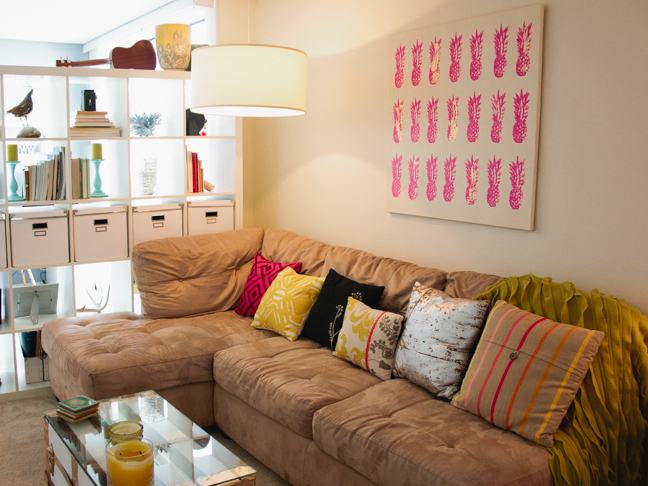 I love large light fixtures, but they can get really expensive when you buy them from a home goods store. If you don’t mind a cord hanging down from your ceiling, I have found a great way to get large & easy light fixtures in a room for not a lot of money. Light fixtures can get very expensive because of the hardware involved and also the installation. If you want recessed lighting or anything that is installed directly into a socket in the ceiling, chances are you will spend a few hundred dollars. It can be much more if you are looking at custom made fixtures. When we moved into our last apartment, I wanted a really large hanging light for our living room, and I made it work with just a simple shade and a cord from Ikea. It may seem a little like college, but exposed cords on your lighting is actually very chic right now. Especially if you get some of these beautiful fabric wrapped cords that Ikea has started selling. The key is to hang them properly with an eye bolt screwed into your ceiling, and then drape the cord down to the plug either along a corner or in an interesting way. 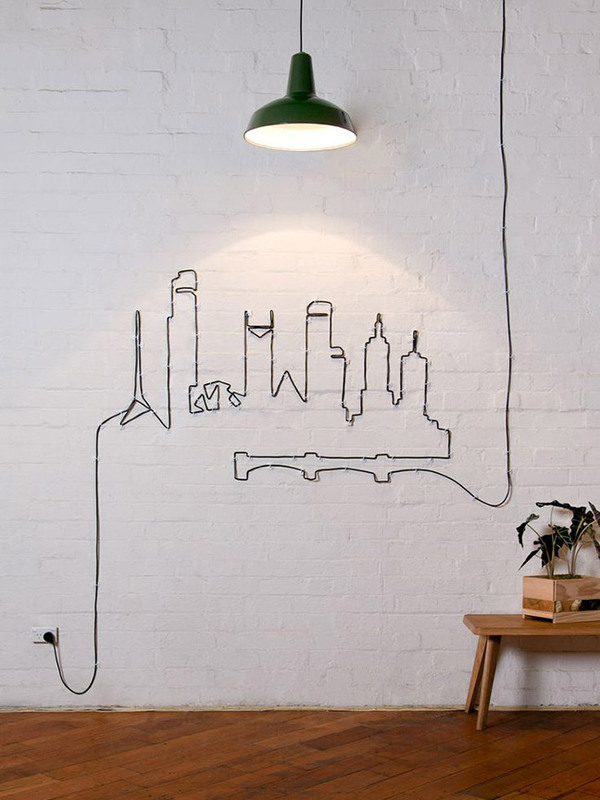 If you want to be really cool, you can even make some lighting cord art on the way to the outlet. For the shade, I custom ordered a lamp shade that would work for a pendant light from ReplacementLampShades.com. They will literally make you any size shade in any fabric and finish you like. Again, they get more expensive the larger they get, but the key here is customization. You have the freedom to make the lamp look however you like. I got a drum lamp shade that was one foot tall by two feet in diameter for only $60. As I am about to start decorating my new house, I will be looking for even more cheap and easy lighting ideas. Do you have any other favorite ways to light a home without breaking the bank?